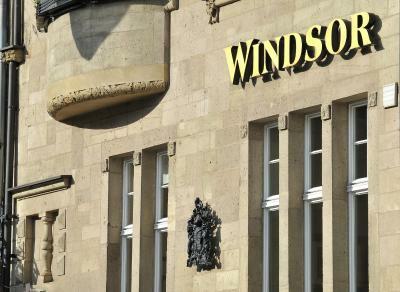 Lock in a great price for Hotel Windsor – rated 9.1 by recent guests! Great staff, comfortable and clean. Lovely breakfast and service. My room was spacious and beautifully furnished. I enjoyed having access to a little courtyard garden and having my own fireplace. For dinner I was recommended a nearby brewery where I could try some savory altbier and schnitzel. The breakfast spread at the hotel was full of delicious local specialties, so it was a great chance to try new things. There were so many kinds of meats, cheeses, yogurts, and vegetable dishes. My scrambled eggs were made to order and were excellent. Not to mention that the dining room was also exquisitely appointed. I forgot to bring an outlet adapter but the staff graciously provided one for me to use during my stay. The WiFi was also provided on a secured network. The hotel is very beautiful. I could stare for hours at the furniture. The location is also ideal. 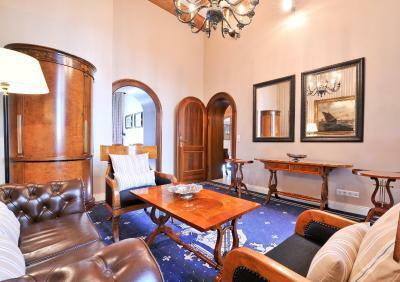 Close to several train and metro stations, close to the city center and easy to reach from the airport. Beautiful hotel very unique , great value for money . Lovely decor, and the bathroom was excellent. Lots of hot water and good pressure. Beautiful classic old building well maintained full of character. Nice touches in the room. Water,nuts, little piece of cake. Super variety for breakfast. And most important a comfortable bed. 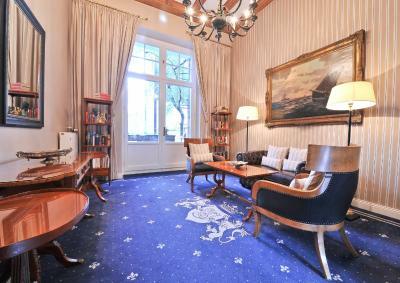 A charming hotel with a welcoming atmosphere in the heart of Düsseldorf. The decor and style create a comfortable and relaxing space to relax after a day of sight seeing. The superior double room we stayed in which came with a separate seating area, large double bath, terrace and fireplace in the bedroom was a fantastic room. Would definitely stay again. This family-run hotel provides a touch of elegance in a tranquil and attractive suburb of Düsseldorf, within easy reach of the city center. 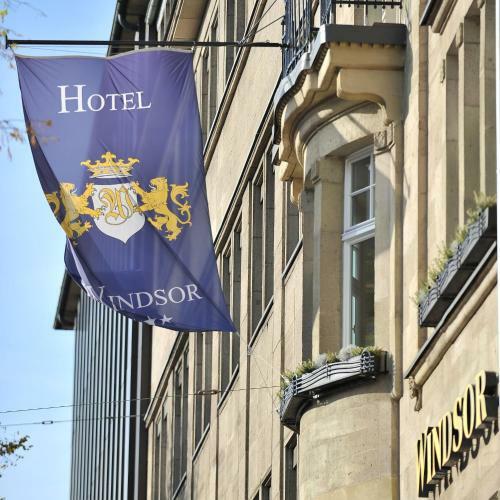 The Hotel Windsor is a beautifully renovated building which dates back to the turn of the 20th century. 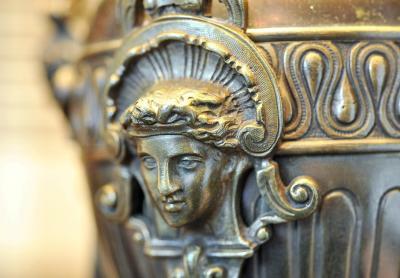 It features a classy British ambiance and antique furniture. 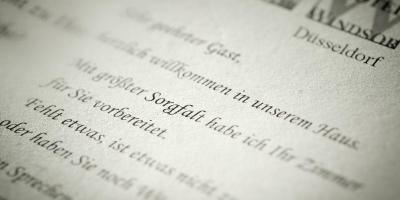 The hotel is ideally located to the city center and Grafenberg forest. 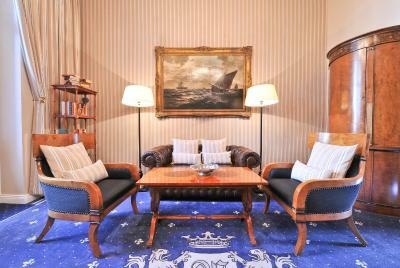 This makes it ideal for guests seeking relaxation, while still remaining close to the Königsallee shopping boulevard, museums and Old Town. 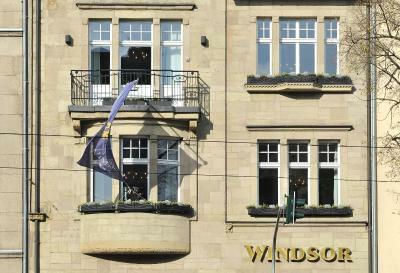 The Hotel Windsor enjoys excellent public transport connections from the nearby Wehrhahn railway station. From the hotel, you can easily reach all parts of Düsseldorf, including the airport, main railway station and the exhibition center. Düsseltal is a great choice for travelers interested in convenient public transportation, sightseeing and city trips. 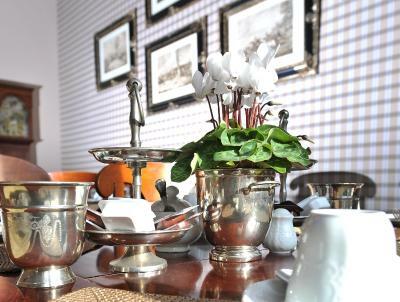 Individually furnished room offering British elegance and antique furniture. There is also a private bathroom with either a bathtub or shower. Individually furnished room offering British elegance and antique furniture.There is also a private bathroom with either a bathtub or shower. 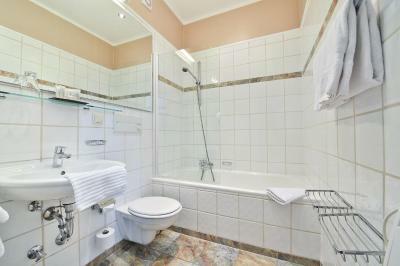 This room offers a single bed and private bathroom with a bath or shower. Debit card Hotel Windsor accepts these cards and reserves the right to temporarily hold an amount prior to arrival. Nothing as it was perfect Actually made our stay! Very nice English style hotel ! Not a problem for me but some people may find the stairs hard work. They are part of the charm of the building but steep and twisty. There is no lift. Having to return the key before leaving everyday and having to buzz/wait to be allowed access to the property is somewhat frustrating. From a security aspect it does make you feel safer whilst in the hotel, however, does become rather tedious and somewhat nerving after a while. Superbly friendly staff, fantastically comfortable and clean room and great breakfast in a very pretty, comfortable environment. I was disappointed that my final bill was different to the price quoted by Booking.Com. The WIFI was a waste of time, better off using 4G. Tea and coffee facilities in the rooms would have been a nice touch as there are too many stairs to carry cups up. Parking was charged at €11.00 per day which is fine, but it might have been nice to have parking location prior to arrival in as it is difficult to park on the street. Parking is 1 block (50 meters) away from the hotel. TV is only local networks and not suitable for international travellers. Be prepared to climb stairs as there is no lift. This appeared to not be suitable for disabled travellers. Beautiful hotel, and a great location, warm reception from the staff. A very nice character building. The Breakfast was good and with a good choice. The little treats left by the staff were a nice touch. Breakfast excellent Bed super comfortable/room with a good isolation of noise/light Hotel well decorated with a traditional/old style Although key should be returned every time you go out, I think it's a way of safety protection too. An oasis in a city of standard hotels.